I’ve just been touched by the sparkly magic of Disney – and I didn’t have to get the train to Paris, or a plane to Florida. No, I just hopped in the car and drove up the A5 to Milton Keynes. 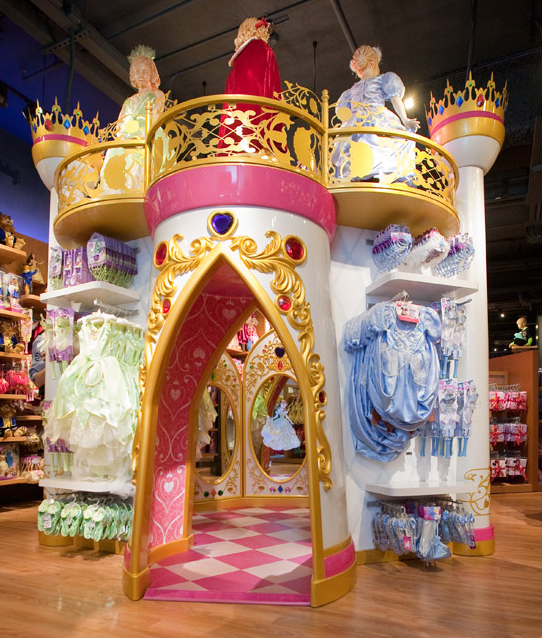 The Milton Keynes shopping centre is the location for the very first new Disney Store to open in England (Belfast and Aberdeen stores have already opened). I can hear you muttering – yes I can. “Hmm, just another shop, so what’s the big deal?” The deal, if you’re any bit keen on Disney (and I must profess here to an unhealthy obsession with Tigger at this point), is that the nice folk at Disney are hoping that their new innovation will bring a real ‘experience’ to the store. Whether you’re reminded of that much-loved family holiday to one of the Disney parks, or indeed, whether this is the closest your family might ever get to being at one, you should go home feeling a bit of that Disney magic. 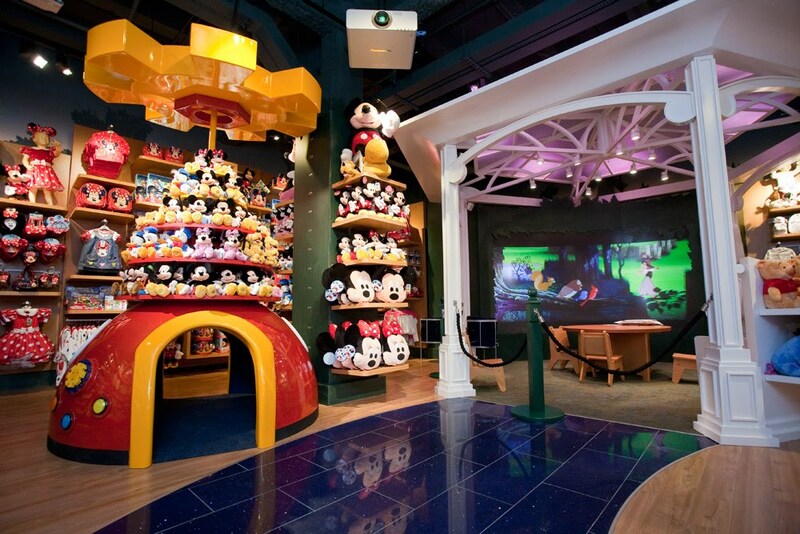 “Experience” is definitely the watchword for the new Disney Stores. Each morning, the store will have an opening ceremony, with a special giant lock, a giant key and one lucky child chosen to open the store. The chosen child also gets to take away a souvenir key to remind them of their day. Inside the store, you’ll hear the same kind of ambient music you hear as you wander round the parks, and be greeted by ‘trees’ that act as projection screens, showing Disney characters, the seasons (watch out for the falling leaves in autumn) and even times of the day. They turn dark blue and are covered in sparkly stars during the closing ceremony (more about that later). Little girls in particular will love the magical castle, through whose gateway you enter to be greeted by a (of course) magical mirror. 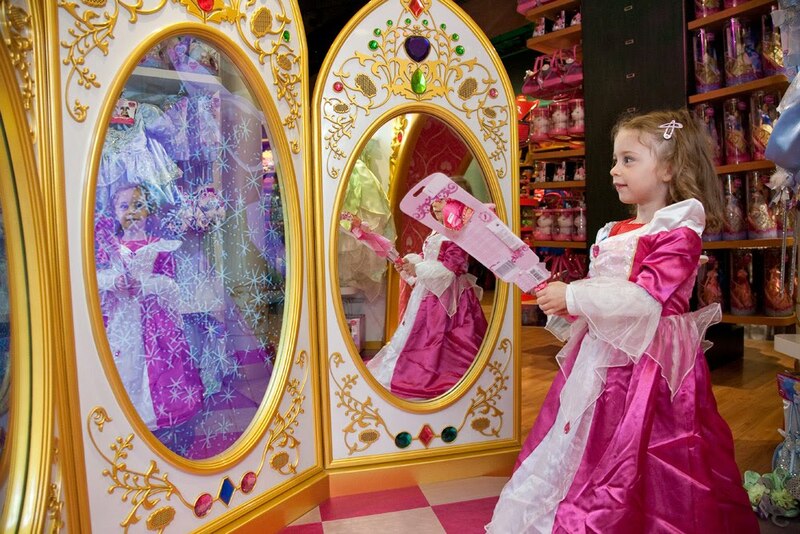 Wave the princess wands on sale and the mirror shows the appropriate princess, along with a clip from her film. Toddlers have their own area too, with age-appropriate merchandise and a magical hidey hole with buttons to press and wheels to turn. The aim is for visitors to follow the sparkly path through to the back of the store where the theatre lies. It has the sort of screen you usually find in the Disney store, but this has an added twist. 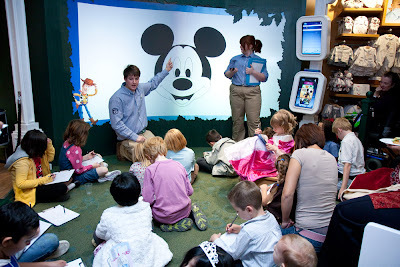 An interactive screen allows children to flick through and find their favourite film or song and have it played on the screen. The theatre will also be the venue for a number of children’s events, including animation workshops, storytelling – and the Imagination parade. 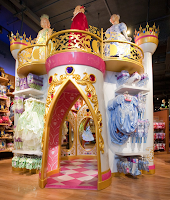 All the children taking part get a character mask (which they can keep as a souvenir), learn a little dance step and then take part in the grand parade through the store watched by guests and parents. 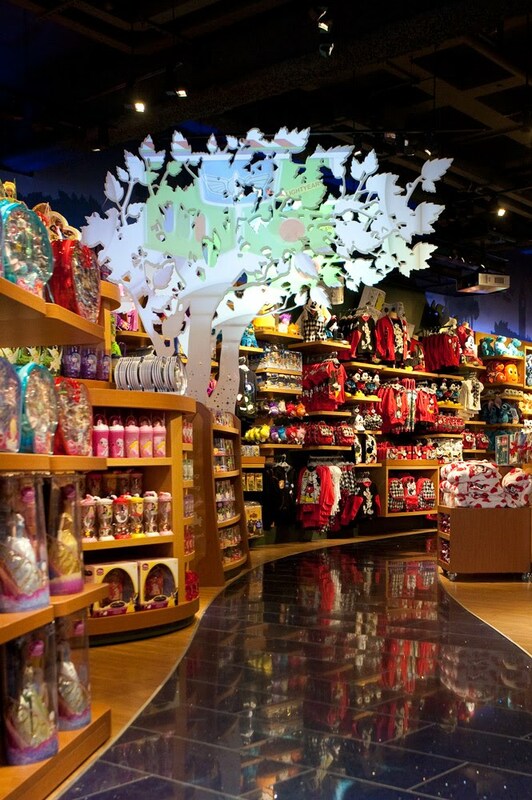 All events are free, include a free souvenir, and will last around 10-15 minutes, so not so long that they will take out a large chunk of your shopping trip, but a welcome break for kids and parents alike. The day’s events will be displayed on a giant screen in the window of the store – expect a couple on most days, with more on weekends and in school holidays. Disney’s staff (or Cast Members as they are called) have also been briefed to help make the store experience as personal as possible. So, if you have a birthday or other special occasion, let them know. The big screen can display the birthday child’s name and everyone will sing and they’ll get a birthday badge to take home. And don’t forget to look up. Around the top of the wall is a skyline featuring a number of Disney characters in silhouette. Nab a cast member and tell them that your child is, for instance, a huge fan of Tinkerbell – lo and behold she appears in the sky! All these technological marvels are controlled by a smartphone-sized device and a specially commissioned programme. This enables Cast Members to control all the special effects, the screen and the music to create the desired effect. If you’re wondering how on earth you’re going to get the kids out of the shop, fear not. At the end of the day, a special closing ceremony is held, just like in the parks. The lights dim, the trees sparkle and a moon shines on the big screen, then reveals Mickey and Minnie sitting on it, before the store says goodnight. Milton Keynes new Disney store opens tomorrow (Sept 15th, 2010) with a grand opening being held on Saturday Sept 25, when Mickey and Minnie will appear, along with Paige O’Hara (the voice of Belle in Beauty and the Beast). A new Oxford Street store is set to open next spring. Naomi MacKay is a freelance writer and editor who works for a number of parenting titles, as well as technology and gardening magazines. She also works with businesses to raise their profile by working on their website content and presentation, email newsletters, press releases and more. She has a four-year-old son who has just gone into reception class – don’t even get her started on the schools application process!